Chelsea won this past season’s English Premier League soccer title. After four seasons of making online streaming of non-televised English Premier League games available only through its streaming platform for TV subscribers, NBC is ready to launch its own paid subscription package for cord cutters who want to watch those games. It will do so by taking those games away from the free-with-authentication Live Extra platform, and putting them exclusively on the paid platform. The paid subscription package will include approximately 130 games, and cost $49.99 for the season. It will be hosted on NBC Sports Gold, the network's streaming platform that offers sport-by-sport subscriptions for cycling, track and field and rugby, among other sports. It's another sign that the NBC Sports Group, a subsidiary of Philadelphia-based Comcast, is moving away from a financial model that draws its most important revenues from cable and satellite TV subscriptions. If you are surprised by NBC's decision, you maybe shouldn't be. The network signaled the possibility of this happening in August 2015 when it signed a six-year rights extension with the EPL. That contract began this past season and runs through the 2021-22 campaign. 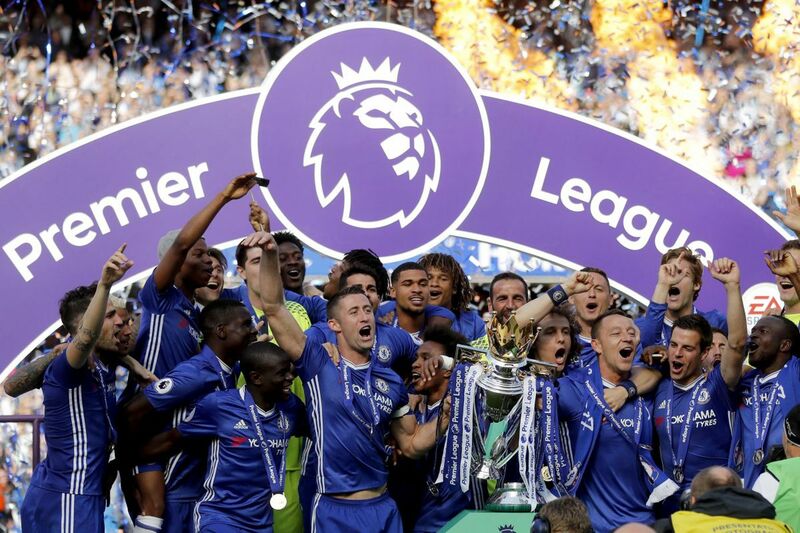 "Whether it's digital, whether it's television, whether it's a pay-for situation, or whether it's free over the air, we will have the ability – as long as we work within certain parameters that we have committed to – we will work on our programming plan each year with the Premier League," NBC Sports chairman Mark Lazarus said back in 2015. "No matter what technologies get invented between now and over the next seven years, we paid for the right to try to monetize this product against whatever form of viewership consumers are using. … As media evolves, we will be in a position to evolve with it, and that's what this complete set of rights allows us." For much of the history of NBC's ownership of Premier League rights, which began in 2013, you had to have a linear cable or satellite TV subscription in order to watch Premier League streams on the network's online streaming platform. That wall got cracked this past May, when NBC and DirecTV agreed a deal to let DirecTV Now streaming subscribers access to the platform. Now the Peacock network has pecked its own hole in that wall. That said, you'll still need a TV subscription of some kind to get access to games on linear channels such as NBC, NBCSN, CNBC and USA Network. NBC's streaming of those games will be through the network's free-with-authentication platform. But if you subscribe to NBC's new package and an over-the-top television streaming service – such as DirecTV Now, FuboTV, PlayStation View, SlingTV or YouTube – you'll be able to watch every Premier League game without needing a cable box. What will remain on the "television" side of the ledger? NBC said in a press release that there will be "up to 250 games" on linear channels, including a specific reference to "at least one match in each Premier League match time window." Some kickoff windows will have more than one game on TV. I'm told that NBC plans to continue to televise two games at 10 a.m. Eastern on most Saturdays, as it did this past season. The release also said "there will be no decrease in matches on NBC and NBCSN compared to prior seasons," and that all games "televised in single-game windows" will be on linear channels. That covers just about all the big games you could think of. A contest between any two of Arsenal, Chelsea, Liverpool, Manchester City, Manchester United and Tottenham Hotspur will surely be on TV, because British broadcaster Sky and BT Sport make sure the marquee matchups get their own time slots. But if you're a fan of one of the big clubs and assume all the games you care about will be televised, you're wrong. Each club in the league, even the giants, will end up with at least three games on the paid subscription platform in the coming season. And if you're a fan of a lesser club, such as Newcastle United or Everton or West Ham? Or newly-promoted Huddersfield Town, managed by American David Wagner? You'll probably have to turn to the subscription platform fairly often. NBC Sports president of programming Jon Miller offered some headline quotes to Goal.com after NBC made its announcement. "There's probably going to be some initial disappointment, but the fact of the matter is those fans [with just TV packages] are still going to get 250 games a year," Miller said. "They're able to see more games here than people in the U.K. are able to see. … This is another way for us to put product out there, to recoup part of our investment but not in any way hurt the overall product or the exposure that we've been able to provide from year one." Miller is right, but his words bear parsing through. It is true that you can watch more games in the United States on TV than you can in the United Kingdom, because every game that kicks off at 10 a.m. Eastern (3 p.m. U.K. time) is barred from television by national law. But most of the games going to NBC's subscription platform are those very contests. So when it comes to ease of access for every game in the season, the differential is going to drop. You also surely noted that Miller said the subscription platform will "recoup part of our investment" in Premier League rights. NBC paid nearly $1 billion total for its six-year package, then saw TV viewership drop this past season by almost 100,000 viewers per game compared to 2015-16. Streaming viewership was up, but not by enough to make up the difference. You can figure out from there why NBC would like to put more of your money in its pockets. Some of you might think that you'll have a backup plan in place. As part of its distribution package, NBC has offered overflow linear TV channels to pay-TV providers for the simultaneous kickoffs when there's no room left on the mainstream channels. Those are going away too. That move could have an especially big impact on sports bars, and the supporters' clubs for English teams that have big gatherings at those watering holes. The linear channels made life much easier for bars, as they no longer had to hook up computers to televisions and be at the mercy of internet connections. A spokesman for NBC said the network will try to work out an arrangement to continue getting linear TV feeds into sports bars specifically. So what's the upside? Well, if you're a cord cutter, you just got access to a bunch of games that you might not have had access to otherwise. Also, NBC has pledged to offer "replays of most matches (including those not offered on NBC Sports Gold), and a full suite of Premier League Productions and NBC Sports original content and studio shows, plus highlight clips" on the subscription streaming platform. Previously, those items were available online only with a pay-TV subscription. The offering of full-game replays is the big thing. But it comes with a caveat, and you probably already noticed it: that phrase "most matches." As I understand it, however many games were available for replay on the Live Extra platform will now be available on the NBC Sports Gold platform. NBC's contract with the Premier League restricts the number of replays that the network can offer online. Which is to say that it's not actually NBC's fault that the network can't offer online replays of every game.